Canham 4X10 Wood/Aluminum Camera Outfit in Case. Excellent to Mint!! Vintage Camera Lot : 35mm and Digital. Nikon, Kodak, Sunpak Flash. 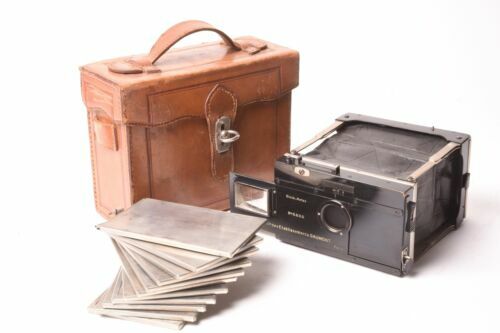 Canham 12X20 ULF Wood/Aluminum 48 inch Bellows Field Camera in Case. NEAR MINT!! 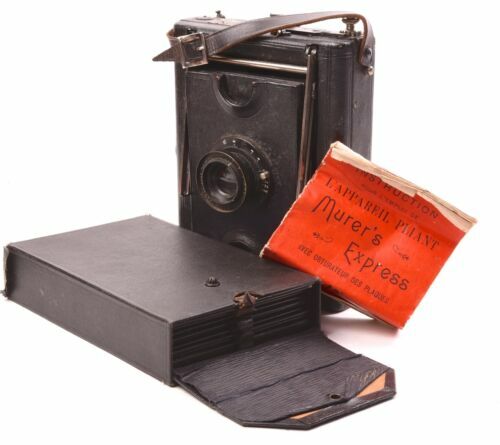 Korelle 4x6.5 folding camera by Kochmann with Ludwig Enoldar f/4.5 - 75mm lens. Camera folding Kodak 620 model 20 with Angenieux Lens f/4.5 - 100mm. Graflex 4x5 Crown Graphic Top RF camera. Optar 135/4.7 lens. (2) Film Holders. Miroflex folding camera by Zeiss Ikon with Tessar f/4.5 - 150mm lens with case. Wisner 4x5 Technical Field wood camera ! Brass hardware ! W.A. Bellows ! N°3 Folding pocket Kodak Model A. Good cosmetic and working condition.